So many marine conservation issues can seem quite overwhelming. Ocean acidification, over-fishing and coral bleaching are all global problems that need international action. It’s hard sometimes to believe that your individual life changes are making an impact and sometimes it’s easy to lose motivation. Please Don’t give up though, please keep on choosing sustainable fish or lobbying your MP on marine conservation issues, it does help. Would there be pole and line caught tuna in the shops if there weren’t people buying it? 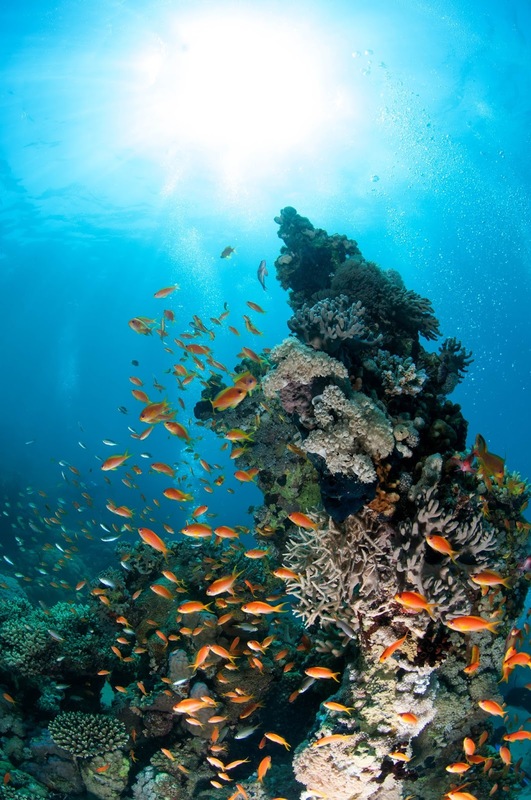 Individual actions can sometimes seem lost in the background, so an easy win is welcome; that’s why marine conservation groups are asking people to change some of the cosmetics they buy to eliminate two major threats to marine ecosystems. Plastic microbeads are often contained in skin scrubs and similar products to provide an exfoliating action. They are currently ‘number one’ on the list of products to avoid. Microbeads are not always removed by sewage treatment and easily find their way into the marine environment and into the tissues of a wide range of marine animals, often carrying pollutants as they go. The US has recently banned microbeads and many organisations are calling on the UK Government to do the same. The other product to look out for is sunscreen. Studies have shown that, oxybenzone, a chemical used in many sunscreens, is very toxic to corals. Sunbathers and snorkelers are a major source of the chemical on coral reefs. Daily skin creams that contain sunscreens are adding the chemical to waste water that ends up in the sea. There are many oxybenzone free sunscreens available so you don’t need to go without effective sun protection and a quick online search will help you find a range of products. Blog written by Richard Aspinall. Richard is a freelance journalist, travel writer, commercial photographer, underwater photographer, horticulturalist and proud Yorkshireman. Sea-Changers are proud to be working with him and have the support of his companies, Aspinall Ink and Triggerfish Photography.